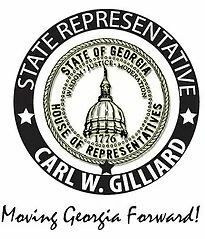 ATLANTA – State Representative Carl Gilliard (D-Garden City) will serve as a guest speaker for five local commencement ceremonies and two student breakfasts. Rep. Gilliard will speak at the following commencement ceremonies: South University on Saturday, May 6, 2017; White Bluff Elementary School on Thursday, May 18, 2017; Garden City Elementary School on Thursday, May 18, 2017; Ash Tree Learning Center Academy on Friday, May 26, 2017; and Saint Leo University on Saturday, June 10, 2017. Rep. Gilliard will also speak at the A. E. Beach High School 9th Grade Star Program Breakfast on Tuesday, May 16, 2017, and the A. E. Beach High School Star Students Breakfast on Saturday, August 5, 2017.